sorry, but that photo is so tiny that I cannot recognize anything. Awesome, especially dragging windows from empty areas! About Krunner I’m not sure I will like it as a panel, but mine is a strange use case: I have just 2 GB of RAM on my laptop, when I need some free RAM I close plasmashell and start apps with Krunner. I suppose Krunner as panel imply that plasmashell have to be running :-/ right? I suppose Krunner as panel imply that plasmashell have to be running :-/ right? Not at all. It’s just a window type – a hint to kwin that this window is to be treated as a panel. KWin doesn’t care whether the process is plasmashell or krunner, in fact KWin doesn’t even know that. I didn’t know about resizing windows with the shadows. That’s very cool, I removed the borders and still can resize them! “this as an example of the “obvious bug” one doesn’t report because it’s so obvious” – there are a lot of bugs I would like to report but they are hard to reproduce or there is no way for me to give the info to reproduce the issue. These bugs overwhelm me and I give up and find workarounds or avoid KDE if the bug is blocking me from working in that environment. 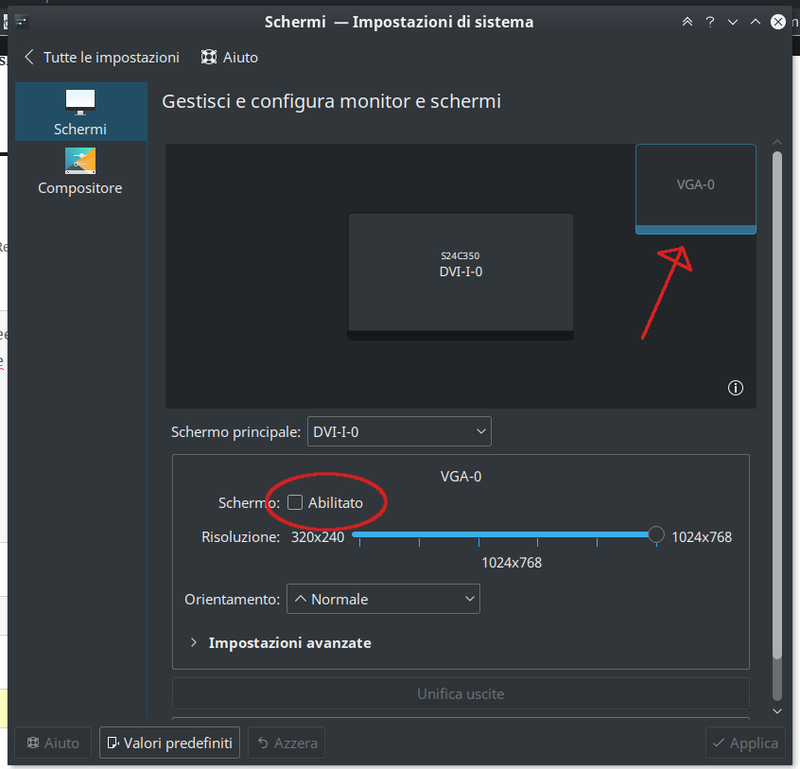 – My PC at home(Intel HD Graphics 530) uses KDE Neon Stable. Through different versions of Plasma(5.7.x, 5.8.x), the issue presents itself from time to time: the windows on the task manager bar(the bar that is on the bottom usually) don’t disappear/appear sometimes when applications are closed/started. You start an application, go to the bottom and try to click on the application and it opens something else or nothing at all(because it didn’t refresh the bar when the application opened/closed). – KDE Neon Git + Wayland – doesn’t work in a virtual machines(tried in VMWare at home and at work), doesn’t resize(probably a VMWare Tools issue here), the mouse pointer shows one location but in reality it is a few pixels on the left(you can even see the hover effects when moving the mouse a few pixels to the right of the button) – I think this should be easy to reproduce…(it works at home and at work for me with VMWare). Report the bugs! Having those issues on my blog post won’t get them fixed. Of course you can! And you should. Maybe someone else has the same problem, and thinks the same way. If he/she recognizes your report, its more easy to just confirm it. And if not, the report can still be closed after some time. Great work. Will these multi-screen changes fix an issue of panel flickering on the second screen too? that sounds like the issue of blur – so yes. If not please report a bug. Thanks. Highly, appreciated (both fixes and this blog). I guess most of the issues I noticed during the testing earlier should be resolved now. Well, I guess except for that tricky issue of windows not showing up when clicking on system tray. I would love working vsync *without* having to fiddle with some xorg settings first. Last time I checked, on intel (skylake) you cannot get vsync in kwin without settings TearFree. Note that according to “man intel”, TearFree does something the compositor is supposed to do. When using the binary nvidia driver the same happens. Depending on whether nvidia has once again broken or fixed their driver (current one in arch seems fine again), using anyone (or a combination) of __GL_YIELD=”USLEEP”, TripleBuffer xorg option or using ForceFullCompositionPipeline meta mode is needed. Note that I refuse to use nouveau (yet), simply because it either lacks performance or has no power-saving implemented, or lacks features I want. I just wish fiddling with any settings would be utterly unnecessary. And googling KWin vsync gives tons of people who regularly hit this on recent KWin. I wouldn’t mind testing code, I just cannot write it myself. I would report bugs, but anytime I look though bugzilla it is something either resolved long ago or “fixed” by any of the above options, which in my opinion *should not* be necessary. Otherwise I really love how KWin keeps improving and thanks for the great work. This is a blog post about Wayland. Anything regarding X11 is completely offtopic here. How does wayland fare in regard to vsync? I know that one goal is that every frame shall be perfect. Are we there yet or has it always been that way? And how do XWayland and vsync go into this picture? vsync is irrelevant in wayland. wayland simply doesn’t need vsync; it’s tear free by design. Since I switched to Wayland I have not seen any tearing. Neither for Wayland nor for Xwayland windows. Rendering is synced. Applications can render at any frame rate they want, but there is also a good callback mechanism in place. i wonder how you are going to handle full screen OpenGL applications (games) with WL. I loved the way you did it for X, but is it even possible to freeze “compositing” or anyway free the GPU when running games on Waylands? Yes, we are working on that. The idea is that we completely bypass the rendering an present the buffer provided by the application on a drm layer. Yes, please! With high-res displays extra full screen blits end up costing quite a bit more. Sounds like you have a good plan. This sounds like it’s going to be a fantastic release 🙂 Thanks for all of your hard work! Congratulations for your excellent work, Martin. Can you say something about screen resolution issue please? Really nice to see the progress towards Wayland going at such a fast and steady pace. Thank you so much for your work Martin. is screen rotation on your roadmap? I would also like to know what kind of pointing device you use. I use a trackball, touchpad and a touchscreen and none of them is really usable with libinput. It is on our roudmap, yes. Trackball on main system, touchpad and touchscreen on notebook. Work fine for me, but I’m not someone who tweaks the settings. Never used the touchpad configuration module (neither on X nor on Wayland). I didn’t know about the new DBus interface and the possibility to enable tap-to-click functionality. It’s much better. I think about implementing a wheel button emulation to get scrolling for my trackball. Where would you suggest to do it? KWin/libinput or rather in the libinput itself? Never mind. I just discovered libinput_config_scroll_method, so it just needs to be supported by KWin/libinput. I didn’t care enough reporting it, since it “worked” and I don’t care for leds. Good to know you care, maybe I should report things like that. But.. Wow, a lot of progress for two weeks. Since nvc0 stopped freezing on me with recent kernel releases (4.4.24 and 4.7 up) I can finally test it… And I am very happy about that. 1. Under KDE 4, kglobalhotkeys misbehaves severely if you remap Caps Lock to Hyper and try to bind separate shortcuts to Super (WinKey) and Hyper. Is that included in your new set of test cases yet? 2. My keyboard has eye-searingly bright blue status LEDs and, rather than cover them with electrical tape, I like to use an X11 flaw (modifier state not synced between virtual keyboards) to trick X11 into reversing the state of the numlock light so it’s a glaring “You didn’t turn numlock back on, you fool! Fix it!” indicator. Given what I know about libinput’s goals, I’m going to assume that “feature” has been fixed under Wayland. How big a patchset would I have to maintain to get that under KDE+Wayland and which packages would I have to patch? 1. I could just as easily cover up the LED with color-matched electrical tape as I did with the glaring blue LEDs on my case. It’d just be nice nice to get some use from the LED, since it’s there anyway. 2. Unlike smartphone apps, Linux is a platform known for focusing on user choice and KDE is known for being the most customizable of the major desktop environments available on Linux. 3. Even under X11, this isn’t really a “feature”. It’s more about using one bug to work around another bug (X11 refuses to honor user requests to manually set NumLock and CapsLock LEDs and/or detach them from the state of their associated modifiers). 4. Unlike the users being lampooned in that xkcd comic, I have programming experience and I’m actually willing to rip out and reinvent pieces of my stack to get my way, rather than just running my mouth in reviews. I suppose you could just set to read only the LED control devices… I’m not sure if libinput uses those. I used to disable blinking on the WiFi LEDs on my old laptop. Or you can write the feature “Disable LEDs for this device” for Plasma. Possibly. The hard part would be finding the time to go through all the extra work to implement a selectable feature, properly bug test it, and get it accepted, rather than writing what I suspect would be a 2-3 line patch to libinput to invert the behaviour of the NumLock LED, build a custom deb, and then amend my crontab so more than just my nVidia drivers are watched for “manual intercession needed” updates. Under KDE 4, kglobalhotkeys misbehaves severely if you remap Caps Lock to Hyper and try to bind separate shortcuts to Super (WinKey) and Hyper. Is that included in your new set of test cases yet? I haven’t tested that yet, but I assume that is handled correctly. In general shortcut handling is closer to the keymap on Wayland, while on X11 it’s closer to the keys. How big a patchset would I have to maintain to get that under KDE+Wayland and which packages would I have to patch? A one-liner if you want to make it work for just you. kwin/src/libinput/connection.cpp – method Connection::updateLEDs you just need to invert the mask. If you want to make it to work for everybody (config option) it needs a little bit more work to actually expose the config option and then inverse the code. You are not the first one I hear to want that, so I’m not completely against it, although it will increase the complexity a little bit. Thanks. I know what I’ll be puttering around with as soon as Wayland support for the nVidia binary drivers gets sorted out. What about graphical tablets support, both on Wayland and X11? Is kcm_wacomtablet going to be revived? For now, I have to set up my tablet manually from command line in X, and I have no idea if that would work with Wayland. Graphical tablet support is on the todo list for Plasma 5.9. How much of it we get done I do not know – it’s a huge area of work. Actually just yesterday I did talk to them. I’m running Neon on my laptop with the Nouveau drivers and I tried the Wayland session a couple of times. It’s getting better and better (plus I like the wobbely windows 🙂 ). On thing that is a bit annoying is that KWallet does not seem to work: after entering the password it shows an error with code -9 and asks for the password again. Am I the only one or is this known? I figured I’d ask here first before opening a bug report. Does it mean, does it include different Wallpapers and independent plasmoids on every Virtual Desktop? I miss exactly both features (content of KDE 4.14.x) very, very much. Or, if not, when will these features adopted in Plasma 5 then? I didn’t write anything of virtual desktops or wallpapers. So I don’t understand how you can get the idea that this would be related. Maybe my mistake. I interpreted ‘screen’ as either real or virtual. And in another forum I heard something about that either wayland or qt5 makes it difficult to have independent virtual desktops. Anyway, do you know something about the features of individual wallpapers and plasmoids on virtual desktops will be implemented into plasma 5? Exactly because of missing these features I still work with a running KDE 4.14.10. Plasma 5 I have installed on an older laptop just only for testing which features are shipped with plasma 5. But I will change to plasma 5 as productive system, when individual desktops will be supported. Before, I see no need to change. In fact, beside that Korganizer is not updated yet (for Google calendar use, not by WEBDAV!) I don’t see any benefit in plasma 5. Es wäre wirklich klasse gewesen, wenn Du geantwortet hättest. Denn soweit ich gelesen habe, bist Du ja (Mit-)Entwickler von Plasma und gerade die unabhängigen virtuellen Bildschirme (Virtual Desktops) incl. unabhängiger Plasmoiden und Wallpapers fehlt doch sehr vielen KDE (4) – Anwendern. Trotzdem, danke für die erste Antwort. Mein Blog ist nicht der richtige Ort für solche Dinge. Es kann halt mal passieren, dass ich nicht zum Antworten komme. In dem Fall kann ich wirklich nichts dazu sagen, da ich an der Entwicklung der virtuellen Desktops in Plasma nicht beteiligt bin. Ich arbeite hauptsächlich am Window Manager. I tired the current Neon git-unstable Wayland image 20170110. My question is why is there a “Tearing prevention (“vsync”)” option in the compositor settings? I thought Wayland is tear-free by design.